The approaching warmer weather makes this a great time to get the backyard ready for spring and summer. An attractive and functional outdoor space creates the perfect place to hang out with family, entertain friends, or just relax and unwind at the end of a long day. There are many options for improving your backyard space, from adding a grill area to totally transforming the outdoor living space. Start by creating a plan for your new outdoor space and budget for your project. What is already there? Do you have an existing patio? Is it large enough? Consider how you plan to use the space and what is most important to you. If you will be entertaining, you want to make sure you have seating for people to relax. If you plan to barbecue, you need to invest in a grill. Adding a garden area to the backyard offers a few benefits. A garden enhances the appearance of your yard and gardening is a great hobby for relaxing and reducing stress. The size of your garden can vary, depending on your level of interest and time to commit to the project. When creating a plan for your backyard area, consider how much space you want to dedicate to gardening beds and where the garden will be located. Situating the garden near the seating and eating area enhances the ambiance of the outdoor area. If you are adding a garden to the backyard, you will need to decide what you want to plant in your garden. You could simply plant beautiful flowers to enhance the outdoor area and choose plants that don’t require a lot of maintenance. If you love gardening, you may want to grow fresh herbs and vegetables to nourish your family. Warm weather makes people want to fire up the grill and eat outside. If you are planning to improve your backyard, the grill is a popular place to start. Do you have a grill? 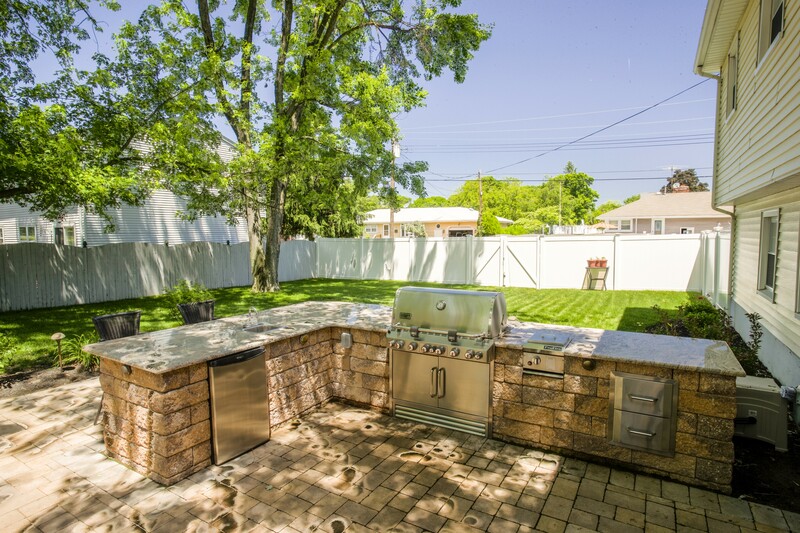 You will need a grill area if you plan to cook and entertain outdoors. 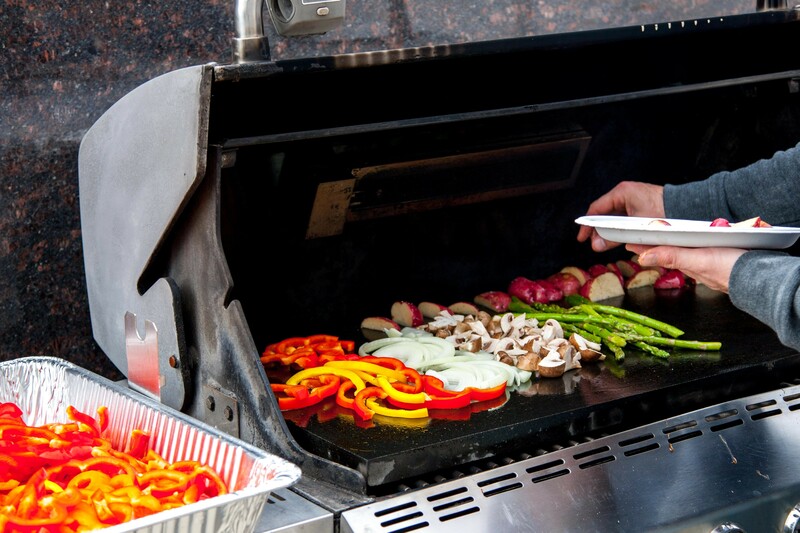 If your grill is old, too small, or doesn’t have the features you want, you may want to consider upgrading the grill. There are more options than ever for cooking outdoors. Consider how you will use the grill, how often you cook outdoors, and your budget when purchasing a new grill. Outdoor grills are available in a wide variety of sizes and styles. 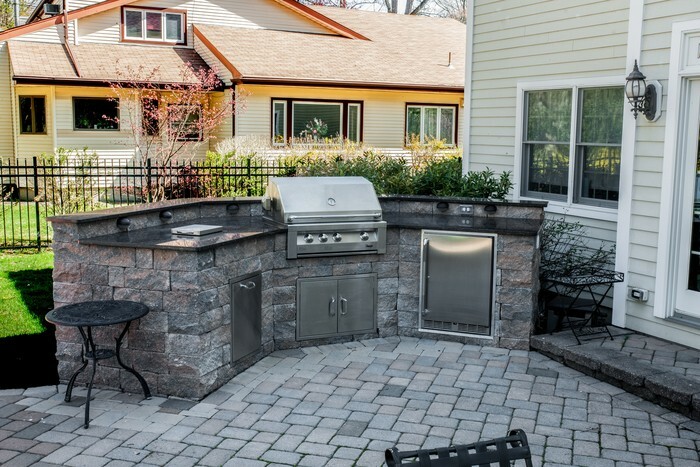 You can also create an outdoor kitchen with natural stone countertops of course! A beautiful countertop enhances the style of the grill area and provides needed space for preparing and serving food. Granite countertops are an attractive and durable option for outdoor areas. The natural stone industry offers many options for granite colors to match the style and color of your home. If you want granite countertops, some great options include Bianco Antico granite, Black Pearl granite, Astoria granite, and Giallo Napole granite, all which can be found at Marble.com. A patio with a seating and eating area is important if you plan to grill and entertain outdoors. If you don’t have a patio, you can have one installed or extend a smaller patio to create more space. A table with chairs provides seating space for your family and friends to gather outdoors for barbecues and outdoor parties. You will need to create a design plan for the outdoor area, including the overall style you want for your outdoor furniture and color palette. A neutral color for the granite countertop, such as Bianco Antico granite, Astoria Granite, or Giallo Napole granite matches easily with many color palettes and design styles. The options for improving your backyard space are virtually limitless. Start by setting a budget for your project and determine the elements that are most important for your lifestyle. Whether you only want to make a few changes or completely renovate the entire backyard space, you can create the perfect place for relaxation and fun before summer arrives.